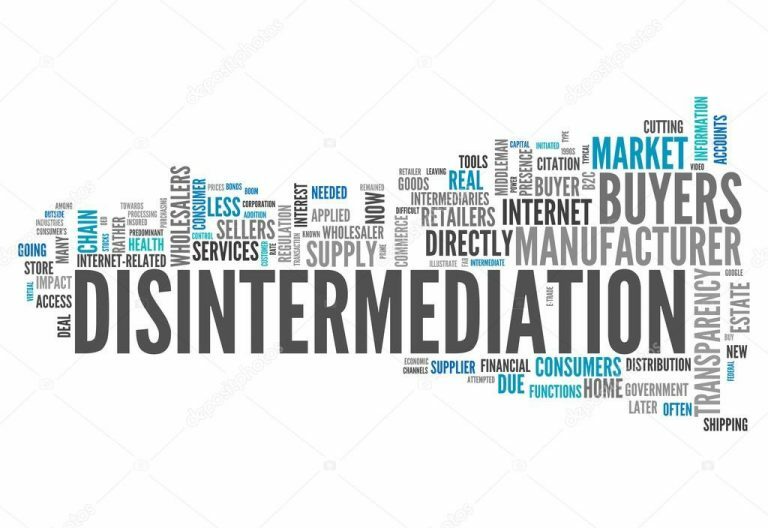 Disintermediation has been a topic here for years. I started this blog in 2006 and this column was one of the first published followed shortly by this one . In 2007 I again wrote on this theme here. Then, through the years I have referenced disintermediation when forecasting, as in this accurate forecast about cable television back in 2010. It is time to take a look at disintermediation again. In the past year I have been stating that it clear that there are now two stages of disintermediation. Stage one was from 1995-2010. 1995 was the first year that the spread of high speed connectivity in businesses via T-1 lines began. This brought wired connectivity to offices and homes that could afford it. 2010 was the year that 3-G wireless connectivity started in the U.S. What this began of course was the migration of relatively high-speed connectivity to mobile devices, enhanced further when in a Wi-Fi hot spot. It was during stage one that all that we know relative to disintermediation took root. We all realized the power of the Internet to alter economic transactions, shopping, working, and the consumption of all types of content. We are now fully into the second stage of disintermediation, 2010-2025. The top line idea is that most businesses that have yet to deal with disintermediation must now face it. There will be a number of businesses and in-place economic structures that will be challenged or eviscerated between now and 2025 in the second stage of disintermediation. All media has moved to streaming. As I forecast in November 2009 streaming video would disrupt the television business by 2014. It obviously has. Binge viewing was not a term widely used five years ago. Today we can all buy “smart” TVs that have Netflix, Amazon Prime Video, You Tube and the rest of the streaming services and platforms. In fact, we often watch all of these services on our hand-held devices, wherever we are. Well, block chain technologies are most certainly going to disintermediate some significant number of economic intermediaries, and perhaps bring about structural changes in the banking system. The landscape of global finance is going to be greatly affected by block chain transactions. Block chain technology could become a significant deterrent to hacking. If Equifax had been storing its 150 million user’s data on block chain rather than in a single hackable central location, there would not have been the hack. The banking and finance industries know they are threatened which is why they are all piling into the space. A defensive tactic to some degree at this time. There is rightfully a lot of skepticism about Crypto currencies and I can understand that. What the world currently uses is nation state – or Euro zone- issued money called “fiat currencies” as they are issued by governments. Do we trust governments more than communities that we feel a part of? If you ask the Swiss, you will get a different answer than if you ask the Venezuelans. More on this topic in future columns. Over the past century, particularly in the last 25 years structures have been created to move products from the producer to the end user or consumer. Let’s just look at the consumer side. We have all now experienced and accepted that physical retail stores have been disintermediated by Amazon and other on-line retailers. Stage two disintermediation will also disrupt the wholesalers who used to supply retail. It will also be a time when the distribution side will be disintermediated. Let’s just take a look at Amazon for now. Amazon has a platform that faces the consumer for direct purchase. Amazon has huge distribution centers that stock vast amounts of product. How could they not promise two-hour let alone two-day shipping? So now, the producer simply ships to the Amazon distribution center until a consumer makes a purchase, at which time, Amazon uses UPS or USPS to ship to the consumer. All those intermediary distribution and wholesale entities that served the physical retail consumer landscape will increasingly be needed less. The ability to adapt or rapidly change business models and processes is the only thing keeping supply and distribution chains from disintermediation. Stage one disintermediation via the Internet provided an alternative to physical businesses. Stage two disintermediation will change the structures of business and perhaps the currencies used for transactions.